K. Jayachandran, Managing Director, is a Mechanical Engineer, Postgraduate in Public Administration and Human Resource Management. He is also a Law Graduate and a Certified Associate of Indian Institute of Bankers (I). He has over 35 years of enriched experience as a Mechanical Engineer, HR Manager, Deputy General Manager (HRD), Dean, Head – HR & Member, Board of Management in organizations like Defence, Banking, Mutual Funds, Engineering, Education & Training Institutions, Infrastructure Company etc. He is an accomplished and highly valued Corporate Trainer, Leader & Motivator. He has a strong passion to share his knowledge and experience with many individuals and organizations in his specialized area of Human Resource Management. He has designed and conducted more than 800 Training & Development Programs across sectors and topics in India & abroad. More than 12000 participants have been benefitted by these programs. He is recipient of BEST TEACHER & TRAINER AWARD for his contribution to NICMAR, the leading Institute in the Construction & Infrastructure Sector. P. M. Menon, Director, is a graduate in Economics and Law, Postgraduate Diplomas in Business Administration and Personnel Management & Industrial Relations. 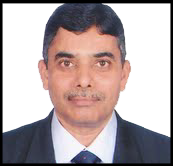 He has 42 years of rich experience in different positions as Legal Executive in U.S. Agency for International Development, New Delhi; as Practicing Lawyer, in Delhi High Court; as Personnel Manager, Head (Personnel & Administration) in International Crops Research Institute for the Semi Arid Tropics (ICRISAT). He is a specialist in Labour Law Administration and Industrial Relations. He is also specialized in Multinational Human Resource Management, Organizational Culture & System Management, Interpersonal Relations & Team Building, Training Development and Performance Management. He is an experienced and highly motivated Corporate Trainer, Coach and a Mentor. Rema Karat, Executive Director, HR Axis India, is a Post Graduate in Commerce and in Human Resource Management. She is also a Certified Associate of Indian Institute of Bankers (I). She has 26 years of rich experience in Operations and Human Resource Management in Banking & Finance and Development Banking Institutions. 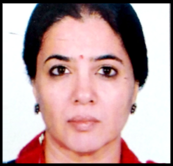 She has served as Probationary Officer in a Public Sector Bank and as Asst. Manager, Manager and Asst. General Manager-Development Banking & HR functions in NABARD, a Development Banking Institution of Govt. of India. She is an expert on the Human Resource Management in the Microfinance Sector and is credited with the first “HR study of Human Resource Management in Microfinance Sector”. She has also designed and conducted the first ever HR Workshops for CEOs and HR Heads in the Microfinance Industry apart from many other Management Development Programs for other sectors like, Banking & Finance, Development Banking, Construction, Engineering, Energy & Power distribution, NGOs etc., Extensively trained in India and abroad, she is a very creative HR professional who also transforms her knowledge and experience to Trainer, Mentor and Counselor.